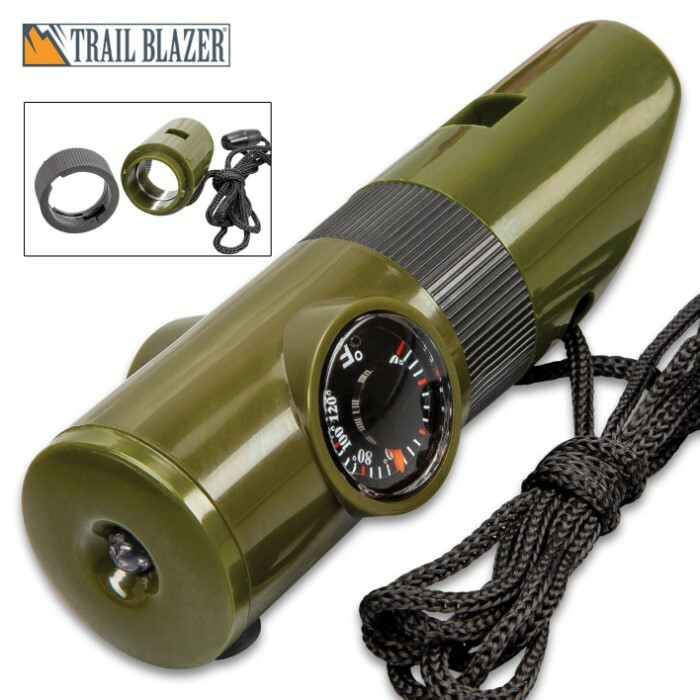 Seven-In-One Multi-Function Whistle - Weather-Resistant TPU Construction, LED Light, Compass, Lanyard Cord - Length 4” | BUDK.com - Knives & Swords At The Lowest Prices! 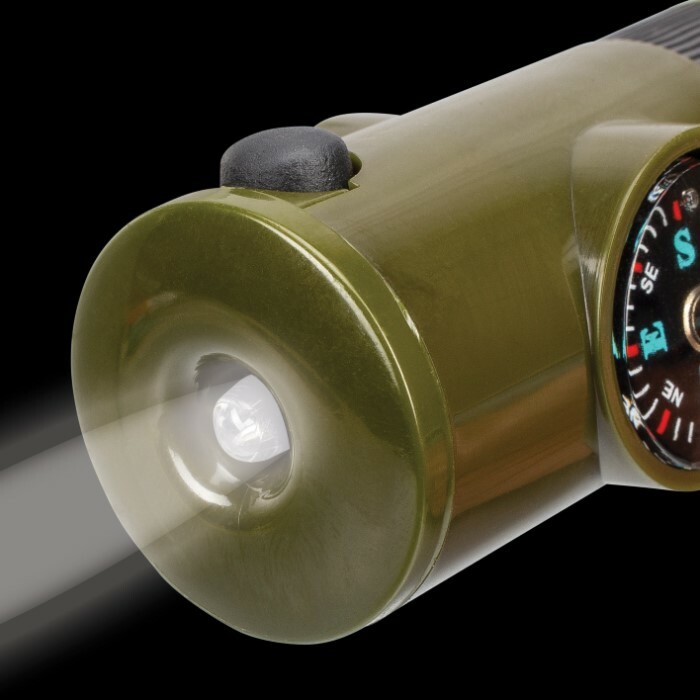 With a loud whistle on one end and a bright LED light on the other end, our Seven-In-One Multi-Function Whistle makes the perfect emergency tool to have with you. 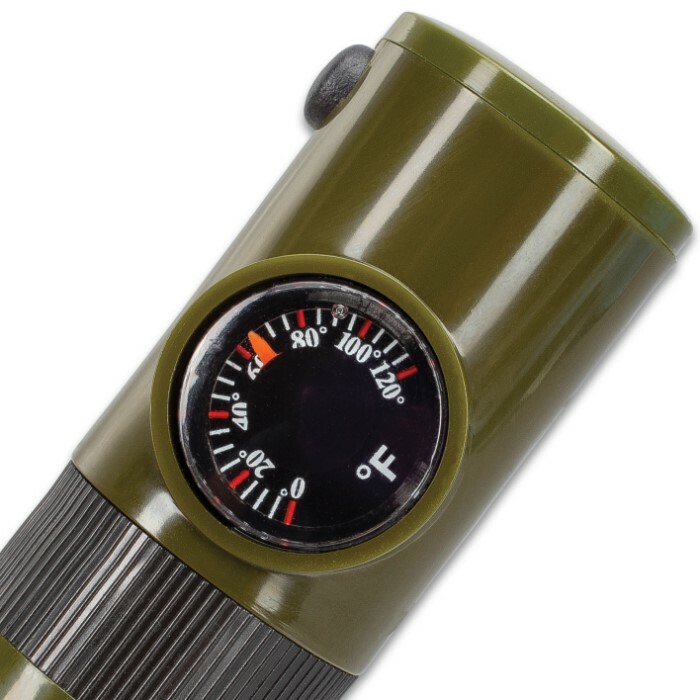 It is a tough and durable TPU construction with an integrated compass on one side and a thermometer on the other side. 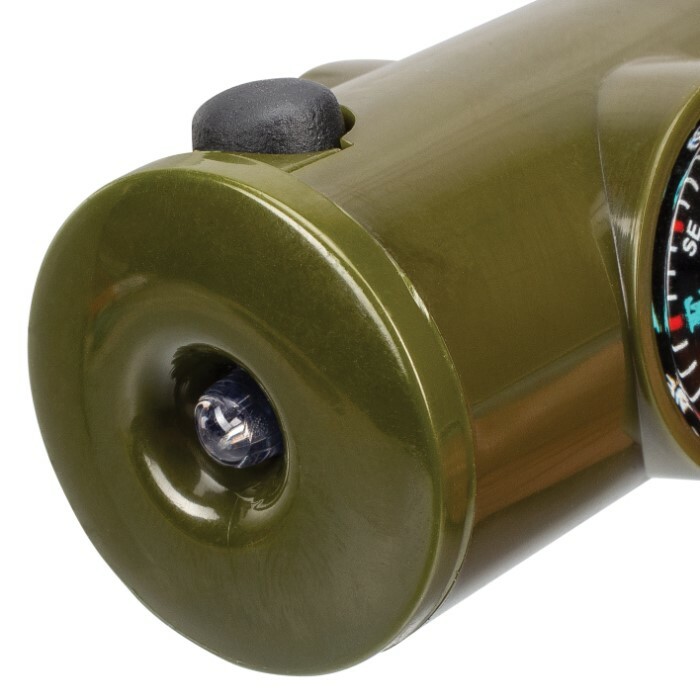 There is also a small waterproof compartment and a removable magnifying glass and signaling mirror. The Seven-In-One Multi-Function Whistle is 4” in overall length and it features a necklace length, lanyard cord for ease of carry or attachment. 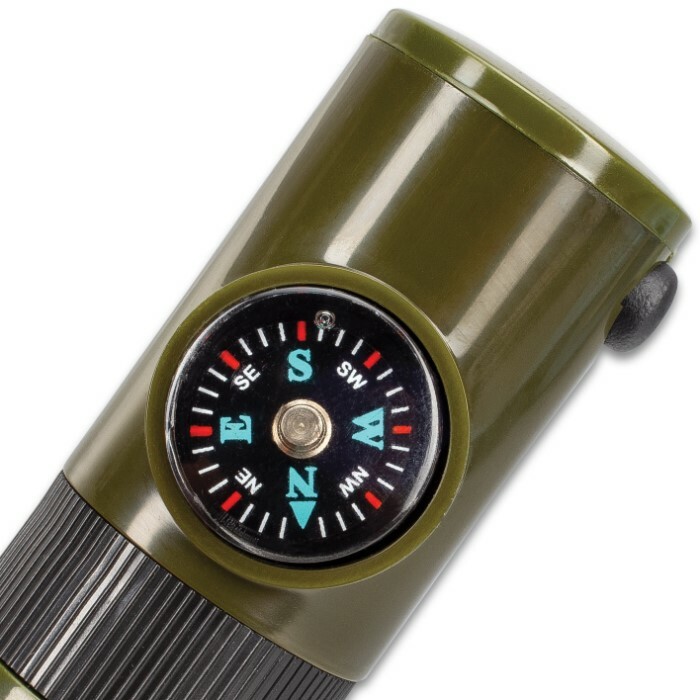 Get one for your hiking and camping gear, your vehicle and your bugout bag.